Light this healing candle to create an energizing environment filled with warmth, joy and delight! 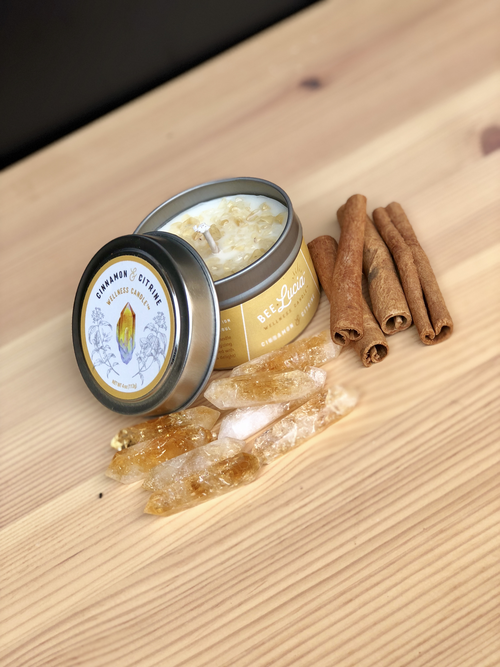 The spicy combination of cinnamon and the bright, playful energy of citrine creates an uplifting environment in which to revitalize and reinvigorate your life. Created with care by Bee Lucia Wellness Candles.